(Stuff) – Super-rich American “preppers” are buying up New Zealand land to escape to in case the US collapses or the poor rise up in revolt against them, The New Yorker reports. 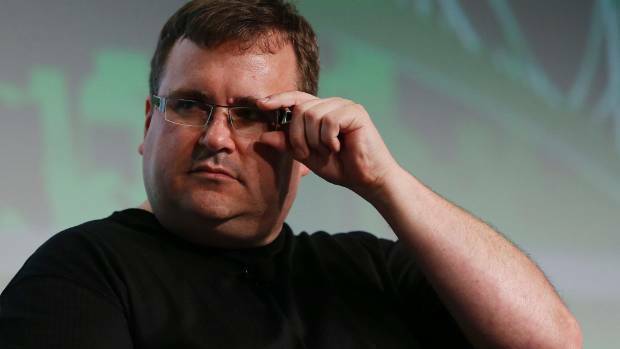 Reid Hoffman said “New Zealand” was a code word for the apocalypse preparedness among Silicon Valley insiders. Preppers, or “survivalists”, believe in preparation in case of societal collapse. In the past preppers were usually associated with guns, powdered food, and underground bunkers – but now it seems our humble isles are a focus, especially for the cosmopolitan Silicon Valley set. Indeed, LinkedIn co-founder Reid Hoffman told The New Yorker “New Zealand” has become a code word for apocalypse preparedness amongst Silicon Valley leaders. Hoffman estimated that over half of his Silicon Valley brethren were into preparedness – particularly as anti-elite sentiment has risen around the globe in the last several years, capped off with events like Brexit and the election of Donald Trump. Silicon Valley has frequently been the target of such outrage, as technological advances have made human workers obsolete and concentrated wealth among a small set of people. One American hedge-fund manager who owned two New Zealand homes told The New Yorker he expected at least a decade of political turmoil in the United States. Hoffman’s anecdote is backed by some data. Foreigners bought over 3500 square kilometres of New Zealand in the first ten months of 2016, over four times as much as they did in the same period in 2010. Even a man who helped Trump’s rise – early Facebook investor and Trump donor Peter Thiel – owns property here, and has described New Zealand as “utopia”. Osnos travelled to New Zealand to fully understand its appeal, and came away impressed with how our seclusion could clear the mind. “For the first time in weeks—months, even—I wasn’t thinking about Trump,” he wrote.